With loads of premium features such as custom blocks, informative footers, tabbed navigation, special product placement options, interactive header sliders, thumbnail galleries etc. 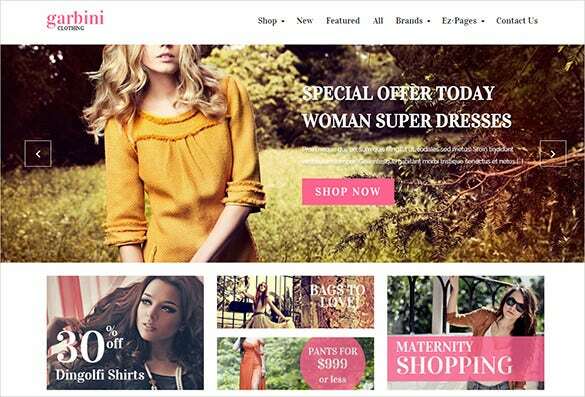 Fashion Zencart themes and templates are the ultimate choice for any Fashion related website. The premium CSS/JS loader and optimized code are perfect for boosting loading speed for your commercial website. Get free social bookmarking widgets along with other necessary plugins with every download.You may also check Fashion PrestaShop Themes. 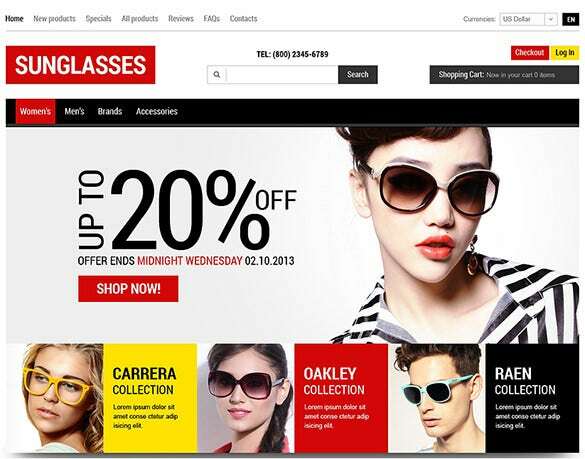 This sunglass store template oozes style and glamour from every corner and would be great if you are looking for a truly glamorous theme. You can inform about latest discount offers and showcase various branded products on the homepage. This is a very colorful and peppy theme you are getting here for a clothing store. It opens up with a vibrant banner for special offers and also includes sections on different products and discount provisions. When it comes to men’s fashion, you have to be suave and this is what is echoed by this men’s underwear store theme. 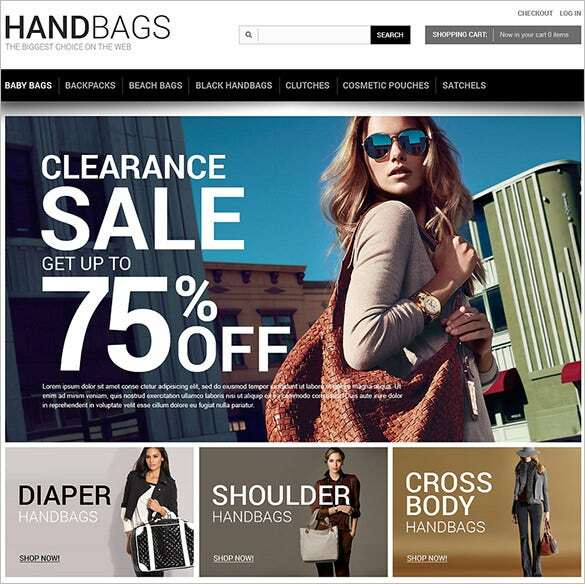 The homepage carries a broad banner to introduce special offers and sections on product categories. This theme speaks of class and elegance from every angle. The homepage opens up with your best collections on the homepage and the page also includes information on latest arrivals. You are getting a very neat and clean theme here and the peppy picture sets a happy mood for the entire store. 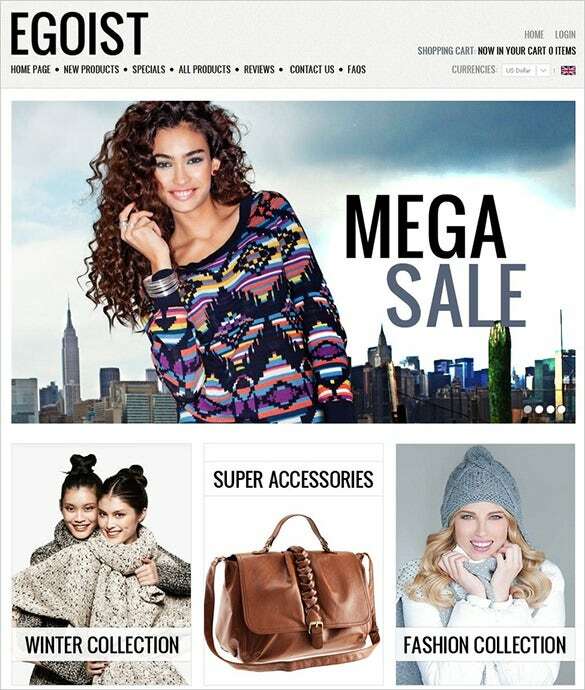 The homepage also includes sections on bestsellers, discount offers and categories. 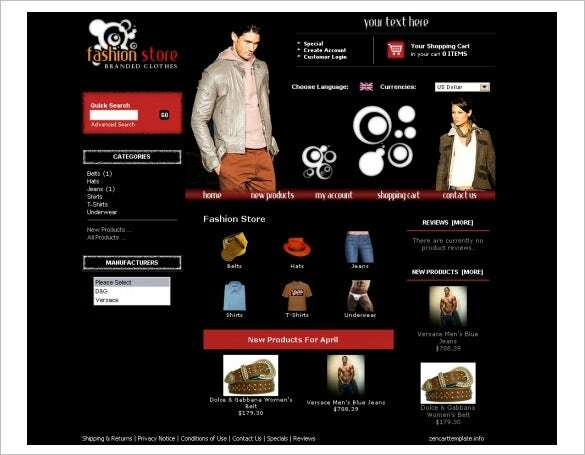 This premium fashion theme comes with a neat outlook and it opens up with information on a whole list of latest arrivals. On the right side you have specials and list of brands for your goodies. These fancy designer templates are been created with fine finish and superior looks that makes them suitable for advertisement. Loaded with CSS technology along with free Clip Art gallery these are the latest entry to the online world. 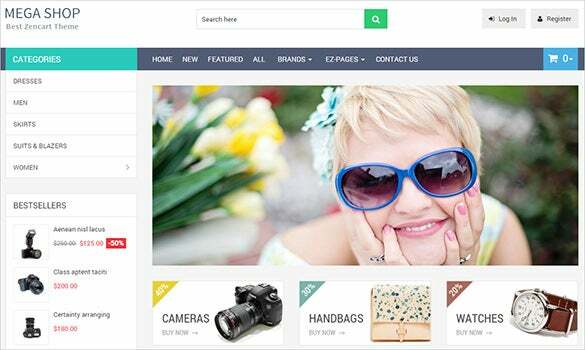 These themes are cross browser tested and 100% responsive indeed. A custom header includes shopping cart totals, checkout links and search with drop down menus. 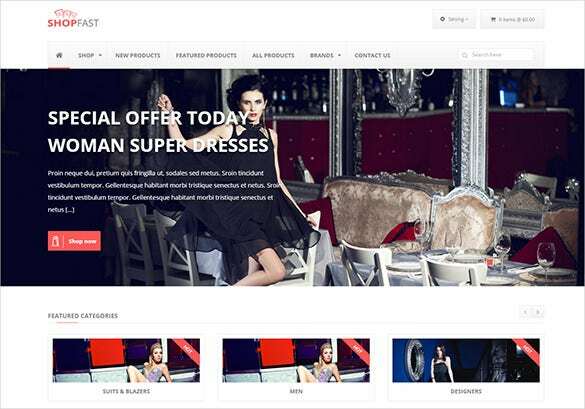 Fashion Zencart themes and templates are a great choice for developers of all expertise. To make editing even easier, we offer free demo content with each theme and template download.